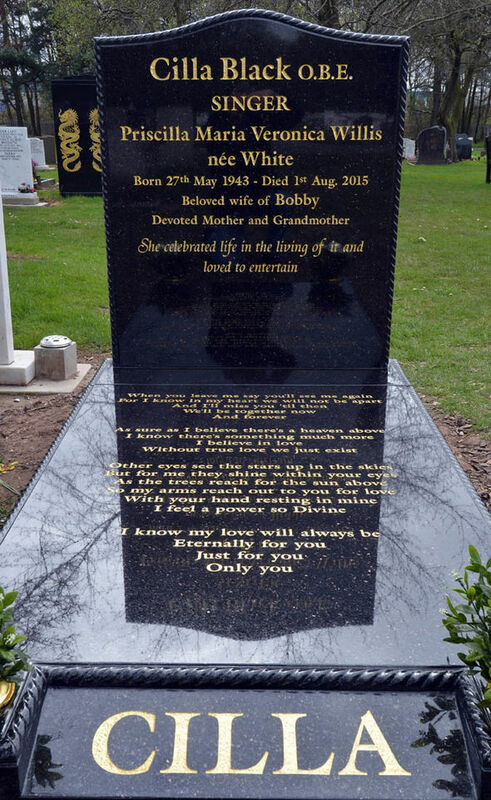 How do you clean a white marble headstone? 24/01/2007 · Best Answer: Here in the U.S., where my parents are buried, the cemetery will professionally clean the marble markers and headstones--for a fee, of course.... Granite is a frequent choice for headstones. It's a beautiful stone, is harder than marble and makes for long-lasting memorials. Over time headstones accumulate lichens, moss, bird droppings or calcium deposits from hard water, usually from the cemetery's lawn-watering system. how to restore a headstone August 21, 2009 7:55 PM I don't mean to sound flippant in any way but I did a similar restoration on a marble slab by using a black sharpie and some clear nail polish to seal it. The sharpie is easy to control and get a clean line and the small brush of the clear polish can get into the engraving and seals up the marker. The slab I worked on was very similar, a how to clean a flat bill hat 12/12/2012 · The most common types of headstones existing today are made of sandstone, granite, marble, and limestone. Due to its ease of maintaining a cemetery, flat bronze markers are becoming more popular in cemeteries, especially memorial parks. What plants are found in tombstone? Why does Anthony havelock-Allen have a headstone in stonington Connecticut? What is the Longest tombstone epitaph ever etched in stone? A cleaning regimen for headstones should be based on environmental considerations such as humidity, biological growth rates, tree cover and vegetation, precipitation and other factors that influence the frequency of cleaning necessary to maintain an appropriate appearance. Most common gravestones are likely to be sandstone, slate, marble, limestone, or granite, although there are many other possible options. Regardless of what kind of stone you are cleaning, the first rule is always to be as gentle as possible . White Bronze (zinc) headstones and monuments were meant to “weather” so the ionization of the metal would continue to build in the welds and make for a sturdier hold on all joints. 2. Do not clean marble, sandstone, or slate stones too frequently; once every ten years are sufficient.